Engadine Gymnastics is a fun, friendly gymnastics club with weekly classes and coaching for kinder and school age children for both recreational and competitive levels. We also have classes for adults – both young and mature aged. Open to new members, Engadine Gymnastics is fully accredited, offering a wide range of gymnastics classes by qualified coaches and instructors. 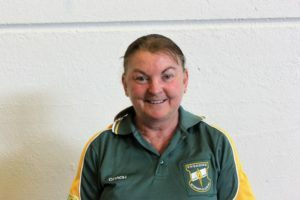 As a not for profit club operating since 1962, Engadine Gymnastics is run by our members – the parents of enrolled children – who look out for their best interests with small classes, personal guidance by expert coaches, and competitive class fees. Coaching Accreditation: Advanced Silver Women’s Gymnastics and Intermediate in Men’s Gymnastics and KinderGym. Judging Accreditation’s: Intermediate Women’s Gymnastics and Beginner Men’s Gymnastics. Finalist for the Gymnastics NSW – Gymnastic for All Coach of the Year for 2012 & 2017. 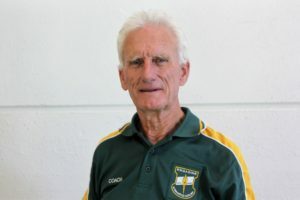 Bernie has been with the club for over 35 years, firstly as a student and then returning to take up coaching and has been our Head Coach for over 25 years. Member of the club’s – “No Limits” TeamGym team – Awarded Gold at Regional, State and National Events for 2 consecutive years. Coaching Accreditation: Gymnastics for All Intermediate Coach and working towards Women’s Gymnastics Intermediate. Jordan has been coaching at Engadine Gymnastics for 4 years. Coaching Accreditation: Advanced Silver Women’s Gymnastics, Intermediate GFA, KinderGym and Advance Aerobics Coach. 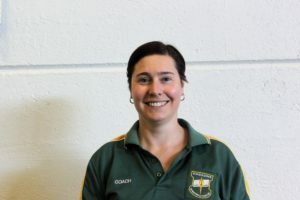 Nicole has been coaching gymnastics for over 15 years in the St Geroge area and came to Engadine Gymnastics in 2017. Nicole has a Bachelor degree in Sports Science and has had athletes represented at the Aerobics National Championships multiple times. Greg is a Beginner Accredited Coach and has been with the club for over 20 years. Graham is a Beginner Accredited Coach and has been with the club for over 25 years. Member of the club’s – “No Limits” Team Gym team – Awarded Gold at Regional, State and National Events for 2 consecutive years. Engadine Gymnastics is a fun, family orientated, not for profit organisation. As such Engadine Gymnastics is run by our members, for our members. The club is run by an elected management committee which meets the second Monday of each month at 8pm at the Gym meeting room. A copy of the Engadine Gymnastics Club Constitution is available from the Club Secretary. The Engadine Gymnastics Club schedules an annual AGM each March which is open to all current members. This meeting usually lasts two hours and is an opportunity for our members to contribute to the club by becoming an active committee member. This is also where members can express wishes and goals for the club. For more details on the Club AGM, see the Club newsletter prior to the AGM. Engadine Gymnastics was started by a group of concerned parents in September 1962 after the death of two teenage boys in a car accident. The Club started at the back of Georges Butcher Shop in Old Princes Highway Engadine. Back in 1962 the Club was originally known as the Heathcote Engadine Boys Club and the first night saw 143 boys enrol for training in Boxing , Judo, Wrestling , Weight-Lifting, Gymnastics and Physical Training. By the next week they had a complement of 250 boys and an extensive waiting list. 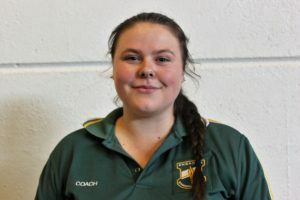 Due the popularity and size of the Club it had to relocate the sessions to the Heathcote High School, which remained its home for over 25 years. One of the founding members “Mr James Coleman” had a vision that the Club would eventually have its own premises. 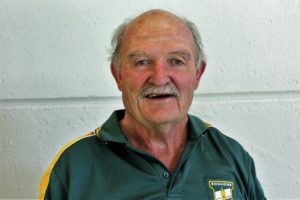 James Coleman’s dream was for the Club to eventually have their own premises and all endeavours were made to achieve this, with several false starts and many broken promises. James died in November 1967 and never saw his dream fulfilled, but his friends carried on the quest. Shortly after opening, the club extended its reach to the other half of the population, and became “Heathcote, Engadine Boys and Girls Club”, we suspect much to the relief of many of the boys at the time (though knowing boys, maybe not). The club progressed in this way for many years, always run as a not for profit organisation, for the benefit of the community. Gradually other sports were phased out, as interest in them waned, and the club began to focus primarily on Gymnastics. In 1990 the club heavily sponsored, the current sporting complex at Anzac Oval, donating heavily to the cost of construction, and design of the complex, and has used these facilities since. Today the club is known as Engadine Gymnastics Club, and is every bit as active in the community as it was in 1962. Our gymnastics facilities, and experience is extensive, and our coaching staff extremely well regarded. Membership is continuing to be strong with approximately 150 students every year, and with these numbers, experience, and backing from the community we expect to be around for many years to come.